i got this awhile ago. 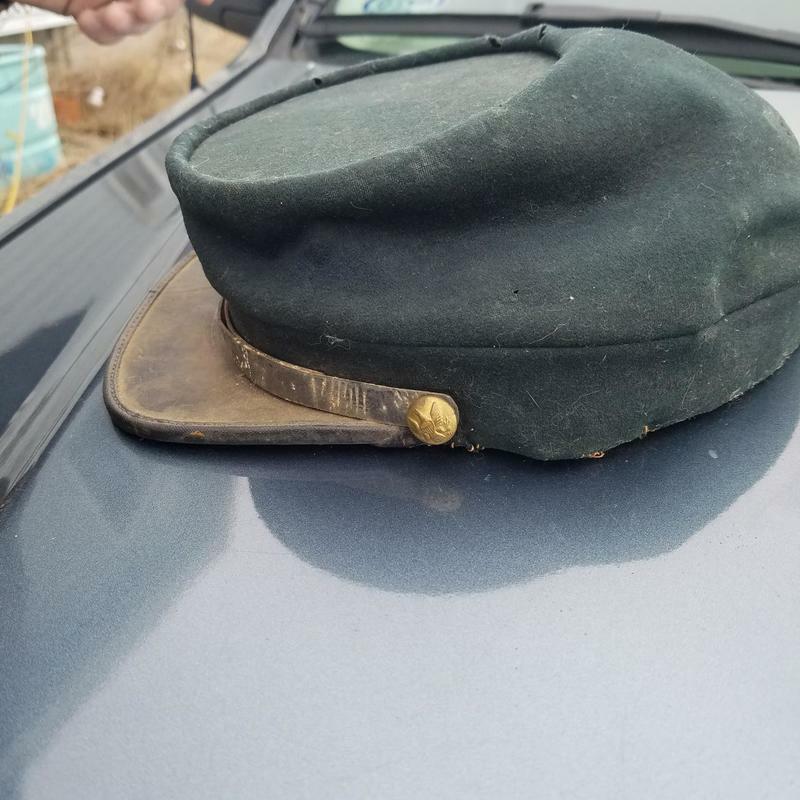 When I purchase this i was told it was a civil war kepi. I sent a photo to a person that sell civil war items. He seems to think it is an original. I will have you look at it to help me out with it to get an ideal if it is real and value. This is a 19th century kepi in blue wool, which was likely worn by a member of the U.S. Army. This could possibly be associated with Custer's 7th Cavalry; however these were also used during the Indian War which was Post Civil War. Without provenance, or history of prior ownership, which time frame this is from cannot be definitively stated. This assessment does not stand as an authentication of such. The estimate is based on actual recent past recorded auction sales of comparables. Retail 'asking prices' can be higher and vary. Civil war colt army id solider information.